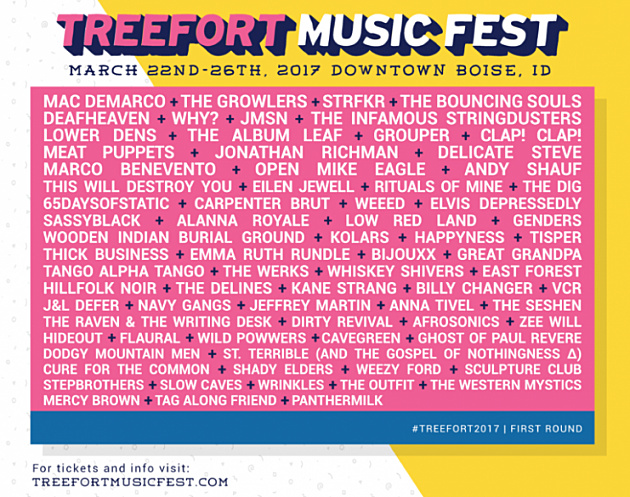 Boise, Idaho’s Treefort Festival returns in 2017 and they’ve just released the initial lineup of artists who will be playing various venues across the city from March 22 – 27. It includes Mac Demarco, The Growlers, The Bouncing Souls, Carpenter Brut, STRFKR, Meat Puppets, Deafheaven, WHY?, Jonathan Richman, The Album Leaf, Delicate Steve, Emma Ruth Rundle and many more. Tickets for the festival are on sale now. Check out the initial lineup below.